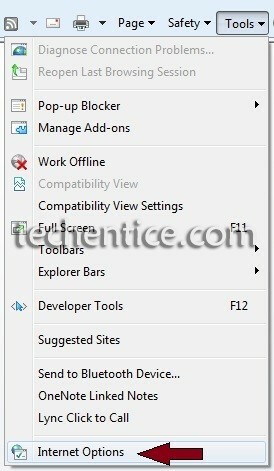 Home > Windows 7 > How to Enable Cookies In IE 8 and IE 9 in Windows 7? A cookie is nothing but a small text file that contains some lines of text. They are not executable programs and cannot infect your computer like a virus, Trojan horse, or other type of malware. Cookies enable certain functions such as online shopping and help eliminate repetitive tasks such as typing in your username every time you visit an online forum. 1. First of all launch Internet Explorer. 2. Click on Tools tab under the menu bar and then search for “Internet Options” and click on it. 3. 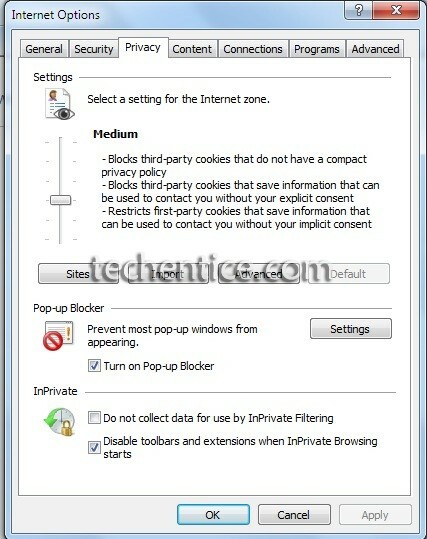 After that the dialog box appears click on the Privacy tab. 5. A dialog box appears where in you have to enable the check box for “Override Cookie handling”. The various options will be enabled as to accept or reject first-party or third-party cookies. It’s done. You can now accept or reject cookies from various sites to maintain your privacy.